I am still on the hunt for the best Indonesian restaurant in Hong Kong. A friend of mine was keen to try Indonesian food and have walked past this restaurant a number of times, and thought he would ‘dragged’ me here. Not that I needed much dragging, especially when it comes to food – Indonesian food! This restaurant is in Sheung Wan, it looks rather ‘dodgy’ from the outside but when entering, it was quite pleasant. It’s relatively big with Balinese decoration inside. The menu is quite extensive, they have the usual dish like gado gado, beef rendang, and sates but also other dishes that are quite ‘local’ like rawon and soto ayam. We were quite pekish, but as there were only two of us, we couldn’t really order that much! We started off with gado gado. 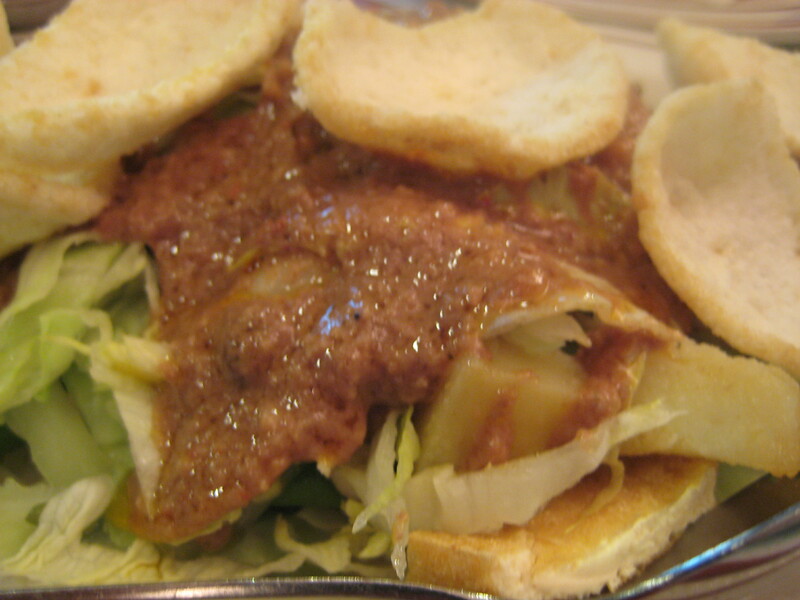 The gado gado consisted of lettuce, tofu, cucumber, potatoes and egg. The vegetables were blanched, however, the sauce I thought was ordinary. It was a tad oily but it was definitely better than the gado gado at IR 1968 (read review here). 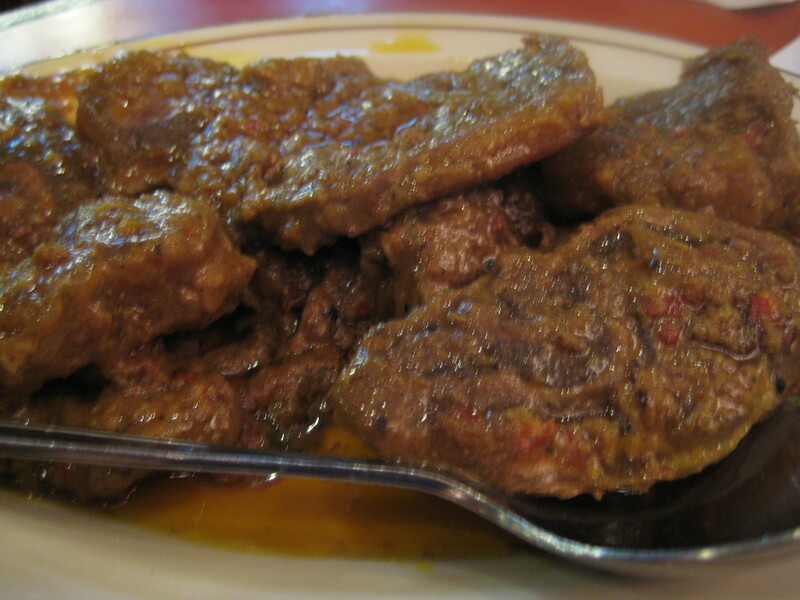 Beef rendang is always a favourite, and it was a must order by my fellow diner, D. The beef was tender, they used beef tendon, so the texture was slightly different, good different. It wasn’t the best rendang, I am a little bias here, but I think mum’s beef rendang is still the best! Although, I have had worse, this was definitely above par. 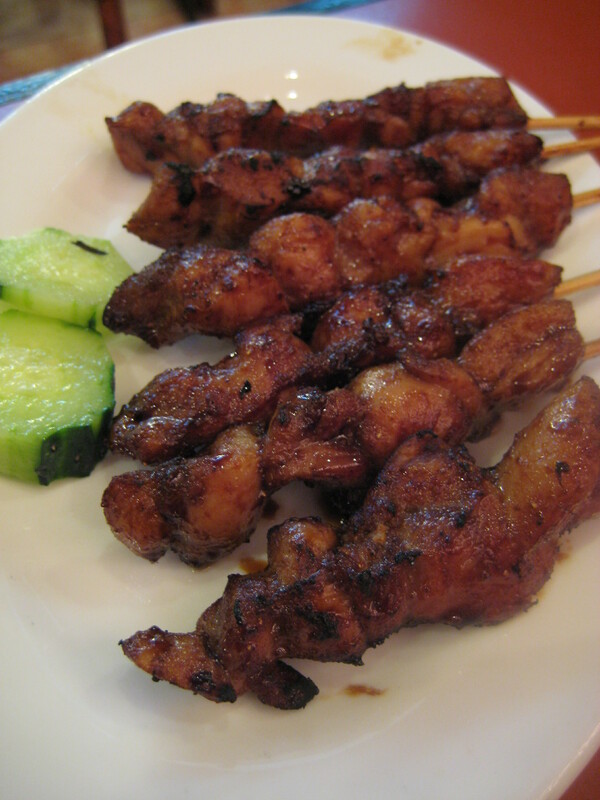 Next came sate ayam and this was exceptionally good! The chicken was succulent, and the peanut sauce was fantastic, with a hint of chili. 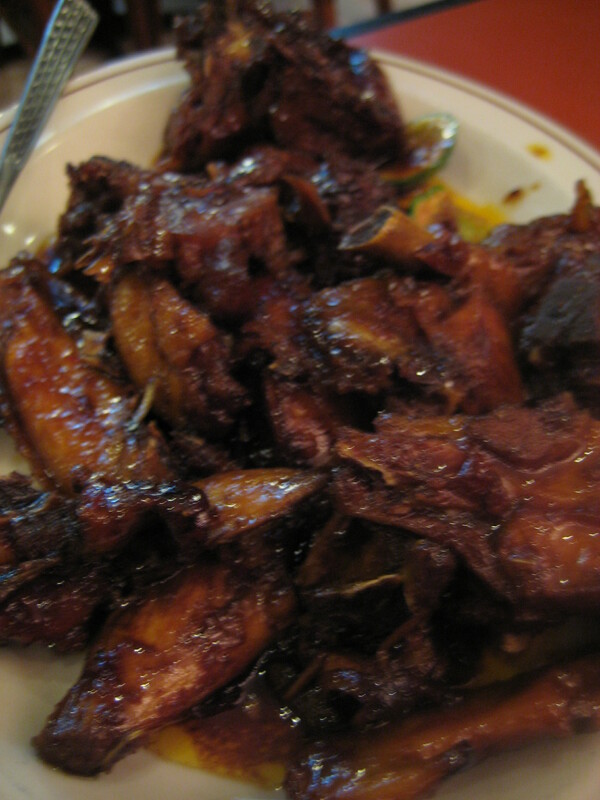 We wanted the ayam goreng (fried chicken) but they ran out! I am not exactly sure how you can run out of fried chicken, don’t you just deep fry the chicken? Nevertheless, they ran out and we ordered the ayam bakar (grilled chicken) and this was definitely better than it looked! The chicken was tender, however, sauce a little sweet. It was definitely better than I expected. Did it satisfy my Indonesian food cravings? No, not really but it was definitely better than IR 1968. Would I go back? Yes, I think some of their other dishes look interesting. Delightful Dumplings, Sam Tor, Hong Kong Cravings for pancakes!